For over ten years Northern Engraving has provided decorated aluminum ornaments for local charity Mayo Auxiliary Love Lights. When someone purchases an ornament, they can choose to have it engraved and placed on a tree in honor of a loved one or to give recognition to someone during the holiday season. 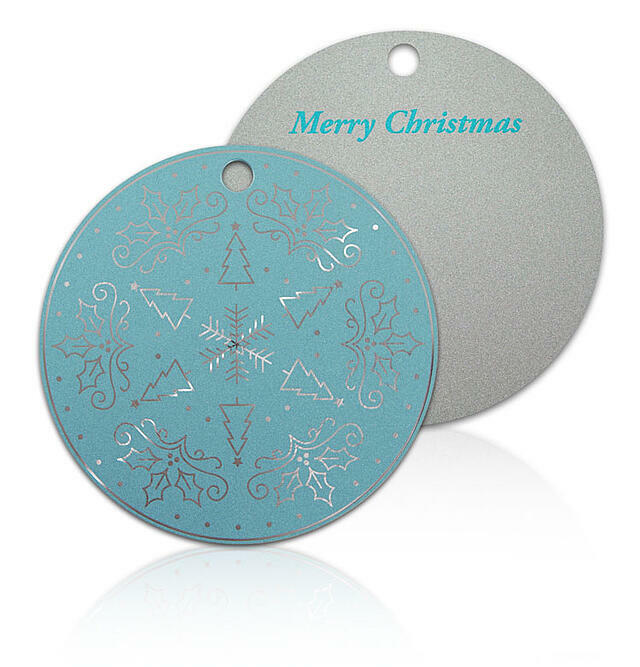 This year’s design showcases a soft blue metallic background with spun aluminum snowflake, tree and garland graphics which appear to glisten as the light catches the metal surface. 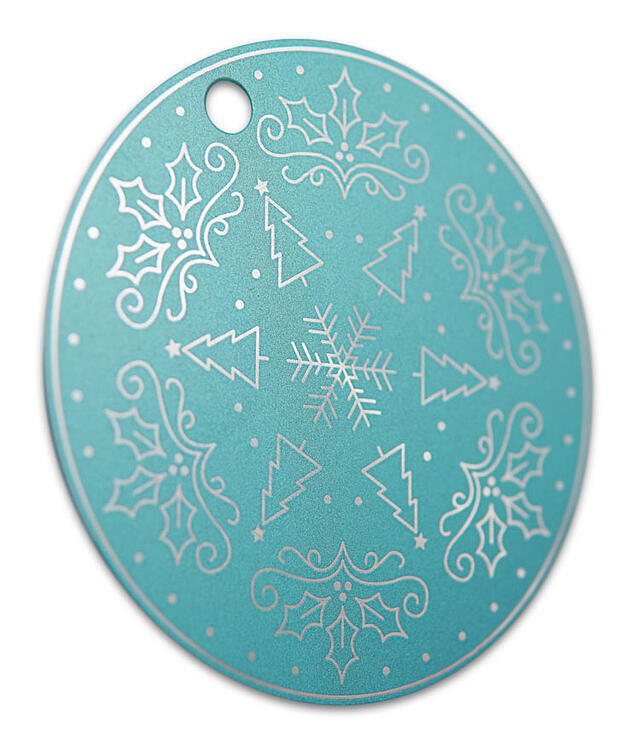 The back of the ornament is metallic silver. A pierced hole at the top allows for a ribbon to be inserted to hang on a tree. Can we help you create a memorable badge for your brand? Let's talk!